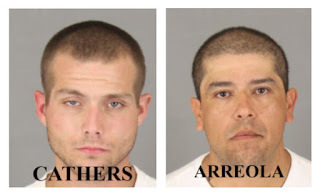 Murrieta Police Department officers arrested two auto theft suspects in separate incidents within two hours of each other in the same neighborhood on May 4, authorities said today. The first incident took place at 3 a.m., while an officer was conducting routine patrol in the area of White Leaf Lane and Buckwood Way and noticed a suspicious vehicle parked in the area. A records checked showed the vehicle had been reported stolen in Menifee four days earlier. Soon thereafter, a male attempted to enter the vehicle. Jeremy Cathers, 20, of Temecula was arrested and booked into the Southwest Detention Center. About two hours later, another officer was conducting routine patrol in the same area and noticed a vehicle driving slowly with the headlights off. A records check confirmed the vehicle had been stolen in Wildomar four days earlier. 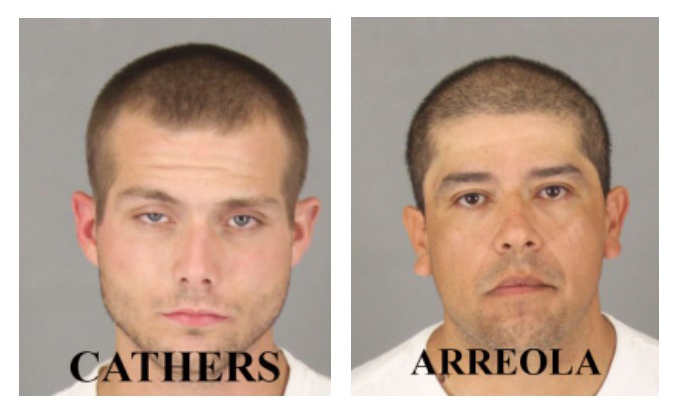 The driver, identified as Francisco Arreola, 35, of Wildomar was arrested and booked into the Southwest Detention Center. According to police, there have been three stolen vehicles located in the area of White Leaf Lane in less than one week. The Murrieta Police Department reminds citizens to remain vigilant and report any suspicious activity in your neighborhood.